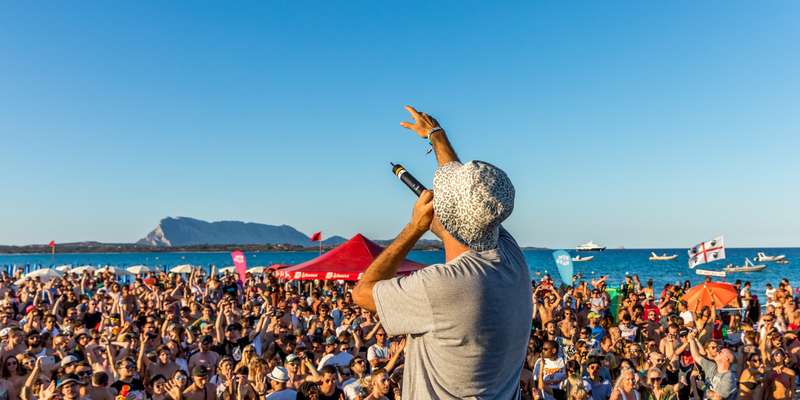 SUNANDBASS is taking place in San Teodoro, Sardinia. This beautiful town lies directly underneath the ‘Costa Smeralda’, one of Europe’s most exclusive holiday destinations. The region is renowned for its breathtaking and often untouched landscape of a rustic caribbean feel. For more information of how to get there go to our travel section. SUNANDBASS ravers have spent more time in Al Faro than anywhere else, with scores of events taking place there over the week. Moreover, it’s a connecting point between staff members, guests and DJs, and it’s where you’ll be checking in on the Saturday. Don’t forget to visit Giacomo, a beloved restaurateur of Sardinia’s finest pizza . Ambra Day is a bar located in the middle of the town and it’s buzzing hive of activity in the area. Acts like Bassdrive call it home for their radio shows, while it was here, in 2005 that John B’s “If IYou Say Pinot, YouI say Grigio” MC session became SUNANDBASS folklore. On this stage, too, it was Jenna and the Gs with DRS and Six Gold Rings that performed with a six-piece strong live band. History is made here. No place like Ambra gives SUNANDBASS the treasured experience of dancing seaside under the stars. The spirit this setting brings paved a way for our extra night in 2015 where Antonio and his Ambra team happily kept the party going in true Sardinian fashion. Ripping Club is an exclusive venue that not only provides us shelter from unexpected rain but a totally different vibe from Ambra Night. The club is composed of two rooms: The ‘Black Room’ with low ceilings and a DJ booth integrated into the dancefloor for a dark clubby feeling; and the ‘White Room’ with its open space and elevated DJ booth to provide a more expansive vibe. Of course this club also has an outdoor area too, and when moving events to this location we take our beloved bar keepers and their famous cocktails with us. Our day events at La Cinta over the years have grown organically thanks to our continued cooperation with town officials. There’s often a special Brazilian flavour to La Cinta and genres outside of drum and bass find their space here too. Alongside local residents and reggae massive Big Island Sound, internationally renowned acts like Dub FX and Mad Professor to hip hop greats like Jeru the Damaja, the Beatnuts, Slum Village and Newcleus have performed here. True SUNANDBASS days at La Cinta will energise you for the club nights ahead! Miami style pool and palms; Bal Harbour provides the dreamy beach scenery and art deco vibe for our DJ competition, while on a relaxed tip, it provides the secluded setting to breathe in the rebirth of cool from live jazz musicians and vocalists. 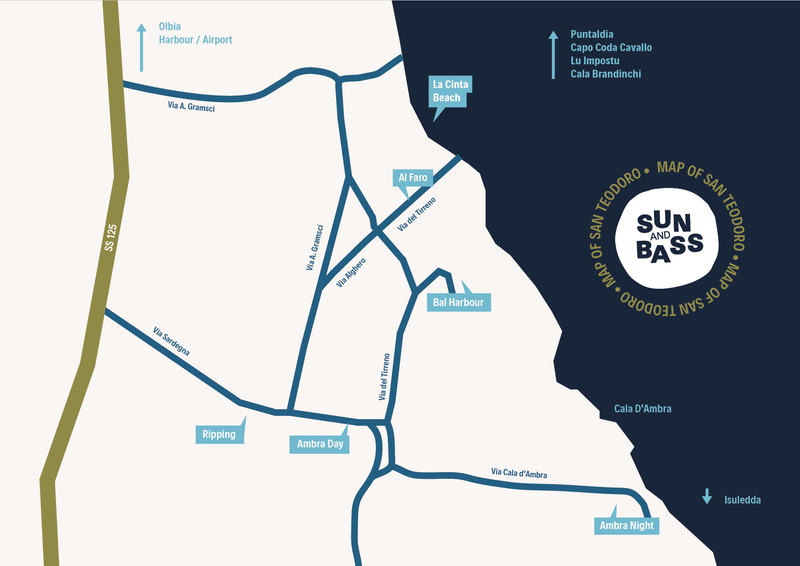 Check out our Google Map or download the SUNANDBASS map PDF here.